Optical Coherence Tomography (OCT) is a specialised scan that uses the properties of light waves to build a digital 3D cross-sectional model of your eye. In particular it is used to scan the retina (the light-sensitive tissue lining the back of the eye), the optic nerve, the cornea and anterior chamber. 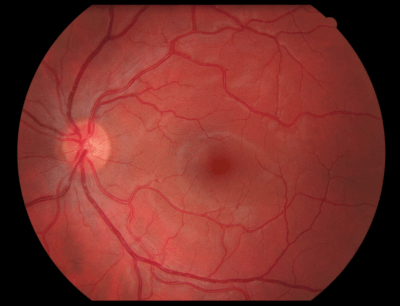 OCT allows each of the retina’s distinctive layers to be examined individually in high definition and this helps with early detection, diagnosis and early treatment for many retinal eye conditions such as macular degeneration. It is also used to evaluate the health of the optic nerve which is affected in glaucoma and other optic nerve head diseases. It also can detect subtle changes to the fibres of the optic nerve before glaucoma starts to affect your vision. It will show important problems in eyes which cannot yet been seen by previous testing methods. The Nidek Retina Scan Duo OCT machine really is a marvel of technology and by investing in this $70,000 piece of equipment we are really ensuring that we are providing our patients with the very best of care. 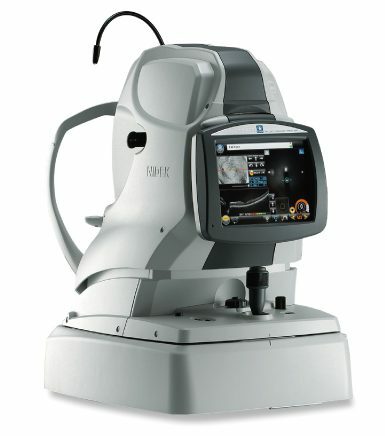 The Nidek Retina Scan Duo provides clear retinal images and does OCT scanning. In most cases no dilating eye drops are required for the scan. In some cases we may decide to use dilating drops to improve the image quality. You will be seated in front of the OCT machine and your head rested on a support to keep it very still. It is important that you keep still and looking directly at the green target light, which sometimes appears to be outside the machine. After the OCT scan, a report with images is immediately generated. We will then examine the results and show you if you are interested. The OCT Scan is an advanced way to check the retinal nerve layers in the macula and optic nerve in cross section. Digital Retinal Photography is done by a special camera which is able to record the appearance of the retina so it can be viewed in great detail and helps greatly in the diagnosis of serious eye diseases including glaucoma, macular degeneration and retinal changes that may be associated with diabetes. The images taken are also stored on your record, helping to track any changes in your eye health over time. Retinal images are taken with the Nidek Retina Scan Duo to check for eye diseases such as glaucoma, macula degeneration, diabetic eye disease.